As I mentioned in yesterday's post, I'm following the meal plan included in the No Meat Athlete Marathon Roadmap — the training plan I'm using to get ready for the St. Jude Marathon on December 2. It's a healthy, whole foods-based plan with lots of salads and smoothies. Here's what I ate yesterday and today! Mondays always start with a 3-4 mile run, and I opted for 4 miles yesterday. 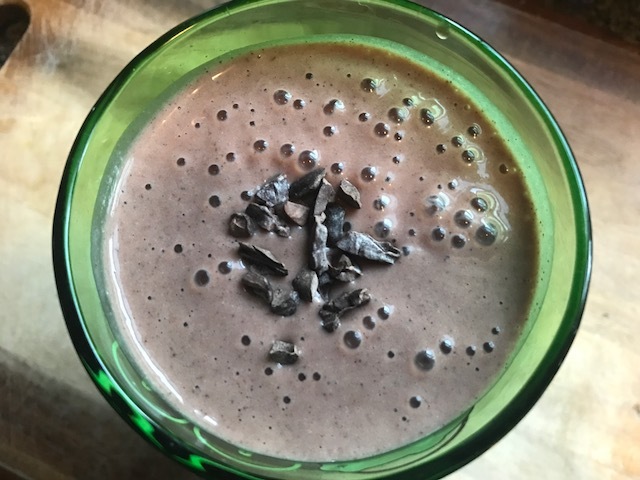 I had a medjool date with almond butter before my 6 am run, and then afterward, I replenished with homemade switchel and a Cacao Strawberry Protein Smoothie with chocolate protein powder, strawberries, banana, flax seed, almond-cashew milk, and cacao nibs. My morning snack on the plan was a fun one — Sprouted Grain Wrap with Veggies & Hummus! I used Ezekiel wraps, which don't usually fold well, but this one held together okay. The hummus was Trader Joe's Spicy Hummus Dip, and I chose romaine, bell pepper, carrot, and cucumber as my veggies. Lunch was leftover Orzo with Citrus "Cooked" Veggies from Sunday night's Thanksgiving potluck. I made a big batch to share, but I kept a little back for lunch. This had a citrus vinaigrette, plus cherry tomato and avocado. I love that this plan has you eating leftovers from the previous night's dinner as lunches because that's how I eat in real life, when I'm not following a plan. 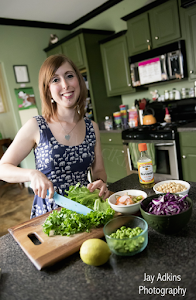 I'm supposed to have a salad as my afternoon snack every day on the plan, which is awesome because it forces me to get those raw veggies in daily and it gives me something to eat while I'm getting dinner ready. 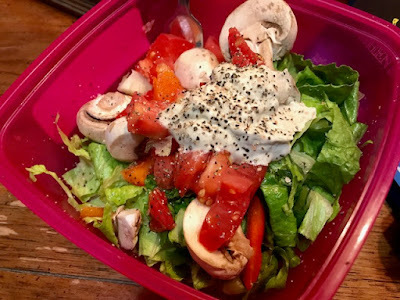 Yesterday, I made a salad with romaine, mushrooms, tomato, bell pepper, and Cashew Ranch from the No Meat Athlete Cookbook. All the recipes for the meals are included in the Marathon Roadmap, but it doesn't include salad dressings. 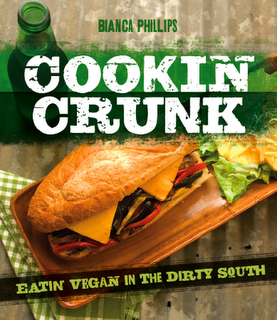 I could use bottled ones, but this gives me an excuse to make some of the awesome dressings in the NMA cookbook. I snacked on my salad while I prepped dinner, Potato Lentil Curry over brown rice. 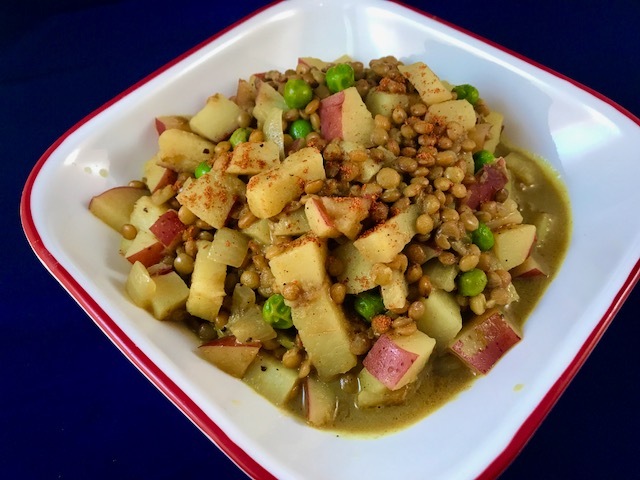 This was a fantastic, creamy curry with coconut milk, red potatoes, green lentils, and peas. Paul is doing the plan with me, and he's much pickier than me. But he loved this! Today — Day 3 — started with an interval speedwork run. I had my usual medjool date with nut butter (sunflower this time!) before my run and then post-run switchel and an Orange Hemp Creamsicle Protein Smoothie. 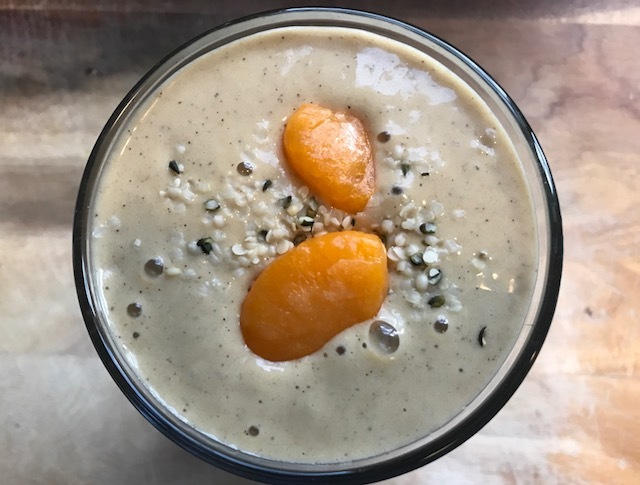 This had a mix of frozen mandarin oranges, papaya, pineapple, and banana, plus almond-cashew milk, vanilla protein powder, flax seed, and hemp seed. Morning snack on the plan was Broccoli with Spicy Hummus Dip. I lightly steamed the broccoli because I don't care for it raw. Lunch was leftover Potato-Lentil Curry, but I totally forgot to take another pic. It wouldn't have been as pretty as the one above anyway because I ate it at my desk, out of a plastic Tupperware bowl. My afternoon snack was another salad — this time with green leaf lettuce, blackberries, cucumber, almonds, and the Classic French Vinaigrette from the No Meat Athlete Cookbook. I also had a small square of Endangered Species dark chocolate in the afternoon. There aren't any desserts on the plan, but I'm allowing myself a little dark chocolate when I want it (because antioxidants!). And dinner was another carb-heavy meal of pasta! This Spiral Pasta with Squash & Cherry Tomatoes was simple and hearty and comforting. The squash is cooked in oil and garlic, which coats the pasta. Glad I have more for lunch tomorrow! After dinner, I was craving something sweet. I rarely eat dessert, so I think I was only craving it because it wasn't on my meal plan. 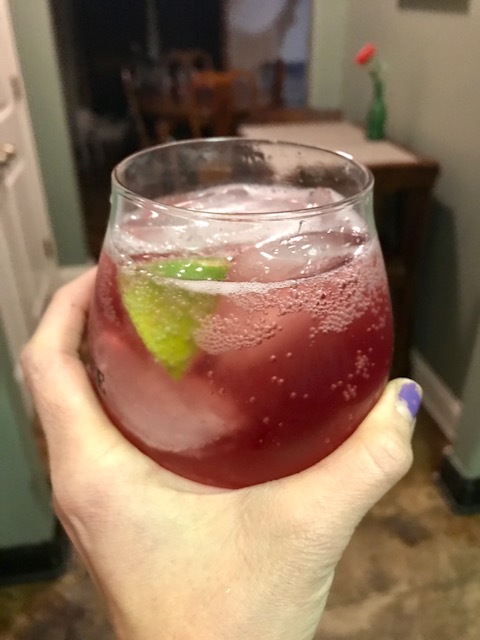 Rather than reach for more chocolate (which would have been fine), I opted for a Sparkling Kombucha Mocktail. I mixed some of my homemade strawberry booch with unflavored sparkling water and a squeeze of lime. Yum! 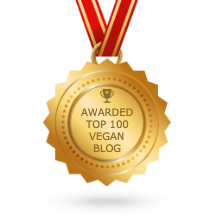 You are certainly eating well on this meal plan! Everything looks fresh and delicious for sure. I love the idea of the mocktail for dessert as well! A creamsicle smoothie sounds really delicious too. I don't think I've ever seen frozen mandarin oranges though. I'll have to keep an eye out! So far this is one of the most delicious looking meal plans I've seen! Lentil and potato curry is one of my favorite dishes!! I have to try a kombucha mocktail, that sounds amazing! I'm so impressed that you're planning to run another marathon! All of these meals look so delicious and i love the afternoon salad snack, that's kind of brilliant! How do you make your strawberry kombucha?? 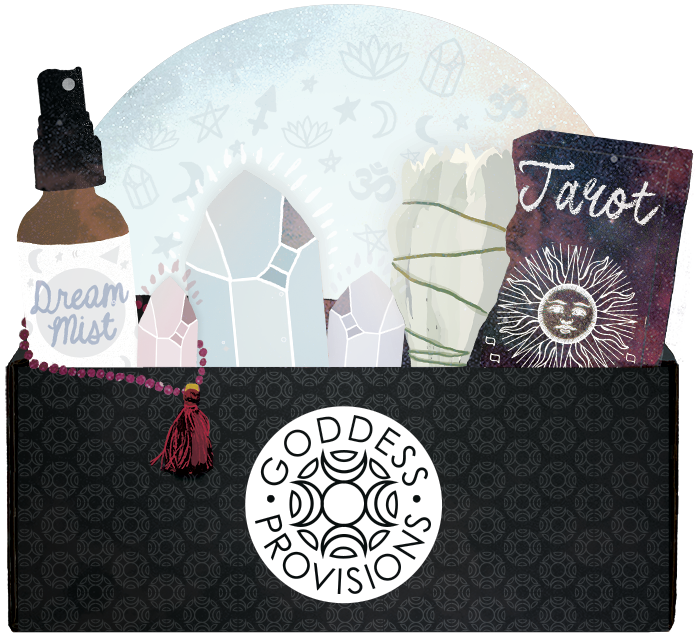 I've been making my own too and that sounds amazing!